The Sony Xperia M2's camera uses one of Sony's standard-issue 8MP Exmor RS sensor. It shoots with a maximum resolution of 3264 x 2448 pixels (8MP) in manual mode, or 3104 x 1746 (5.4MP) in Superior Auto. There is also a LED flash to help you with some low-light photos. The Xperia M2 also has a hardware shutter key. It's quite tiny and many people would probably find it uncomfortable. The good thing about it is that you can set it up to unlock the phone and start the camera. It can also snap a photo or start capturing video immediately. This might come in handy for those occasions when you want to capture something quickly. The Superior Auto shooting mode is what we've already seen in other Xperia phones - in this case it limits photos to 5.4MP resolution and 16:9 aspect ratio. There are no settings you can change, everything here happens done automagically. Unlike the 20MP Sony Xperia phones, the images taken with Superior Auto have the same quality as the one shot in Normal (Manual) mode. Manual and Superior Auto aside, the Xperia M2 offers several other interesting shooting modes. Other modes include the regular Picture effect mode, which creates a 3 x 3 grid that shows all the available effects in real time. Sony has also included a mode called Social streaming, which can live-stream the video feed from your camera directly on your Facebook profile. That's certainly not something you see every day. Finally, there is the Background defocus - it take a photo of a particular subject and then blurs the background behind it. Sounds like a nice thing on paper, but it fails quite often and you need to try again and again, and keep as steady as possible while shooting. Both 8MP full resolution samples and the 5.4MP ones taken in Superior Auto have an underwhelming level of resolved detail when viewed at 1:1 magnification. The exposure, contrast and colors are good, which makes for nice looking photos when you view them fit on your screen. But getting any closer shows that the noise reduction algorithm has taken its toll on the fine detail, while the noise still remains high in some images. Furthermore, there are significant oversharpening artifacts visible. And here are a few samples taken in Superior Auto mode. They have the same quality as the 8MP ones, but are shot in 16:9 aspect ratio. While Superior Auto would occasionally activate the HDR mode when it decides it's needed, if you really want to force it, you'd have to go to Manual mode and enable it from the Scenes menu. The HDR mode is conservative and rescues both the highlights and shadows without going to extremes. Unfortunately the resolved is even worse than the standard samples. We uploaded the full resolution 8MP photos to our photo quality comparison database to compare against other high-resolution smartphones. The image quality - resolved detail, noise, colors and contrast - are among the worst we've seen. 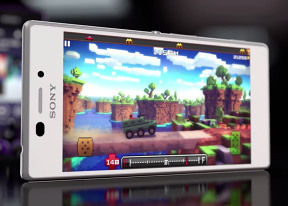 The Sony Xperia M2 is capable of capturing 1080p video at 30fps. The camcorder shares the same UI as the still camera. You can set a timer and fiddle with settings like exposure, metering, focus mode, etc. For videos the M2 features a proprietary SteadyShot digital image stabilization, but there's a price to pay - the field of view (FoV) is reduced (it's how all digital stabilization systems work). The phone is smart enough to detect whether you are shooting hand-held or you have rested it on something stable but you get the reduced FoV either way. You can also snap stills during video recording but that's not of much use as you only get 1080p images, you might as well grab a frame from the video later. The Sony Xperia M2's 1080p samples are nothing to rave about, but they are still better than the still images. The resolved detail is better, the noise reduction isn't that destructive and there is very little noise. The frame rate is steady at 28 fps, while the bitrate is good at 16-17Mbps with stereo sound recording with a bitrate of 128 Kbps and 48 kHz audio sampling rate. The continuous autofocus is much too eager and triggers too often as on other Xperia phones. The Xperia M2 is also capable of capturing 1080p@30fps HDR videos. The quality is the same as the standard video samples, the HDR effect is visible, and sometimes way too much. You can also check out the HDR samples we've uploaded on YouTube as well. Here is a 1080p@30fps HDR video for you to check out. The Sony Xperia M2 captures mediocre 1080p videos. It also manages to resolve good detail in the background in good light conditions, but fails to do so in the foreground. There is lots of noise in the low-light scene, though the lack of a harsh noise reduction algorithm allows for keeping more detail. You can check out how it does against the competition in good and low lighting conditions and look at the ISO chart for a synthetic estimation of the resolved detail.